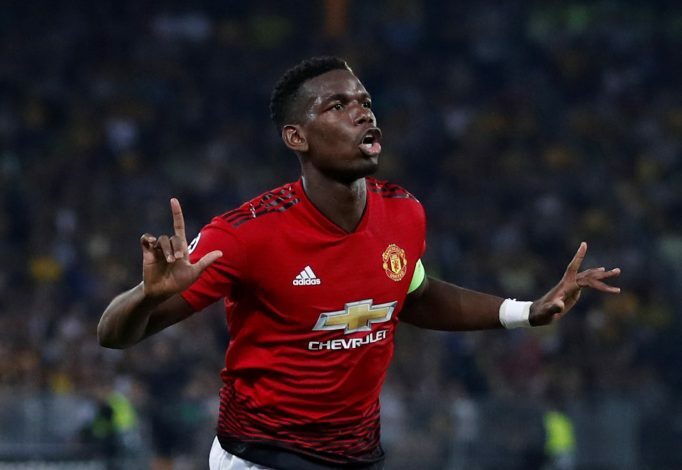 Manchester United ran clear winners in their Champions League group stage away encounter against Swiss team Young Boys. Paul Pogba scored a brace and set up another to help United win the tie 3-0. Anthony Martial was the other scorer of the night. Pogba found the top left corner from 18 yards for his first and then scored from the penalty spot. Martial then slotted home in the 2nd half to add gloss in the win. The Spaniard made two crucial saves when the score read 0-0. Post that, he had a comfortable night. The 20-year-old was superb in his United debut and made some daunting runs going forward. He showed intent and real zeal to take this opportunity. Needs a little work defensively though. A matured performance from Smalling. He made a vital interception at 0-0 and was sound positionally throughout. Was unsure on the ball and looked tensed in the first half. Gained confidence from there on, with Smalling showing his assurance beside. Didn’t set a foot wrong. Shaw earned United the 2nd goal, and prior to that, his pass to Rashford saw the striker hit the post. His passing and final ball was poor and took a touch too heavy. Otherwise, a decent outing. He failed to show his quality for major parts of the game. Although he assisted Pogba for his goal and also played a hand for Martial’s strike, he was a let-down otherwise. A decisive show by the Frenchman. Struck a brilliant first goal with his left foot after creating a pocket of space with his right. He led by example and contributed to the victory. Disappointing night for the 20-year-old. He struggled on the right-hand flank. Besides the goal, Martial was wasteful of possession and played some wayward passes. Needs time to settle down. The Belgian lacked genuine service, and his decision-making at times were dismal. He put in a shift though running here and there. He impressed with his simplicity and general play in nature. Provided cover for the backline. Wasted a glorious chance to make it 4-0 for United. The Brazilian looked energetic and put in a shift in the final few minutes.